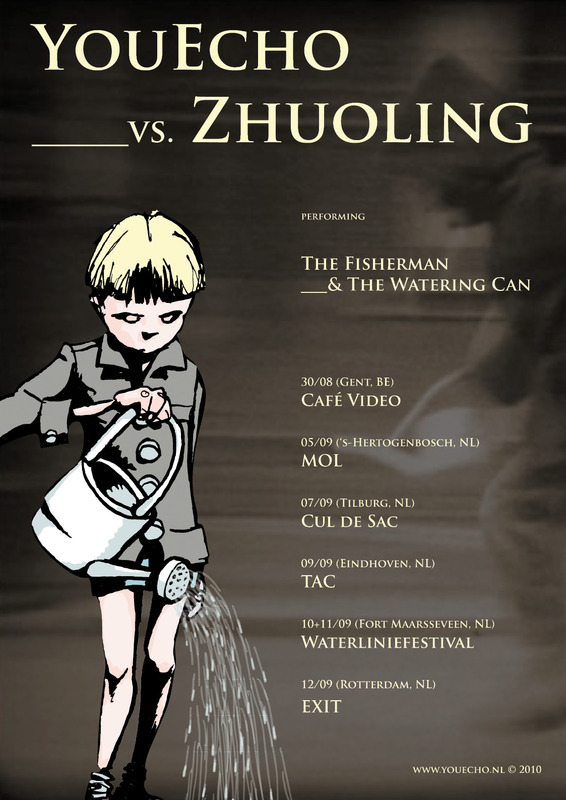 For the first time Wu Zhuoling will visit Europe, after YouEcho vs Zhuoling did some shows in China last year in 2009. YouEcho is setting up a small tour for celebrating Zhuoling’s visit. It will be the first time YouEcho vs Zhuoling can be heard live in full capacity, together with trumpet player Milan Mes and Willem Janssen on double bass. The live performance can be extended with poet Arnoud Rigter, and a mini-orchestra (euphonium, bugel, horn and saxophone). (*) Wu Zhuoling also gives a solo singer-songwriter performance.